Discussion in 'Electric Instruments' started by Matty_B_1966, Aug 10, 2018. Years ago I had a 1996 CE22 Holloflake that I had to part with for a temporary financial situation. 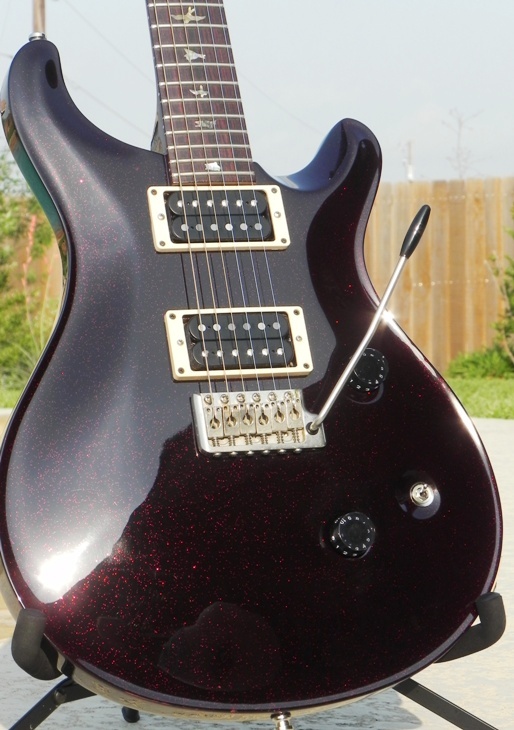 I am thinking about ordering a CU24 now...and was wondering if PRS would finish one in holloflake now? You can get an SE Standard 24 in 'multifoil' which is a cousin of holoflake. Like, a third cousin twice-removed. Elliot, Boogie and Alnus Rubra like this. 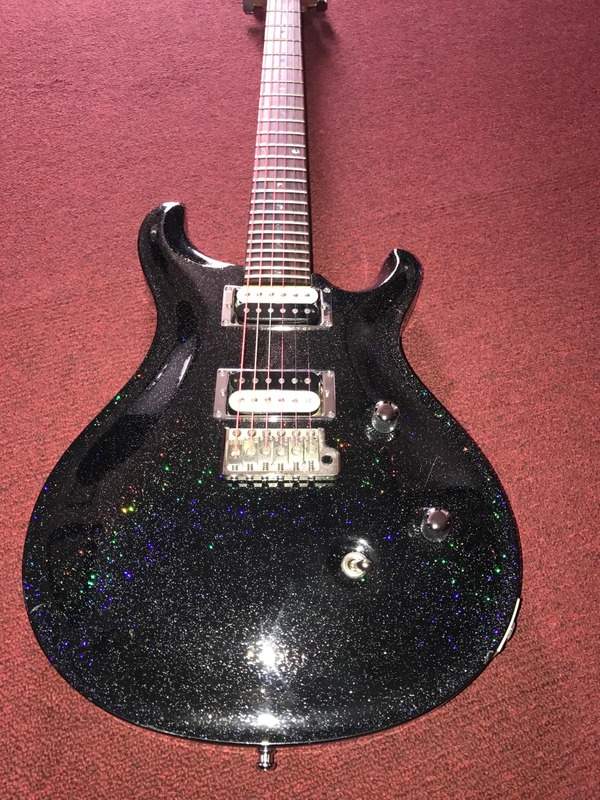 Uh, there's a CE22 charcoal holloflake for sale on Reverb right now. Could it be yours? Search CE 22.
sergiodeblanc and Boogie like this. I’ve seen several and owned one. I’ve seen black, Silver, green, and mine was burgundy. I’ll post a picture later. The black holo is just beautiful; always wanted one. Andrew Paul, Matty_B_1966, parallyze and 3 others like this. I saw a green one while on a trip to OKC. Not my cup of tea...but kinda cool, and different. Probably should be a statue to that finish. 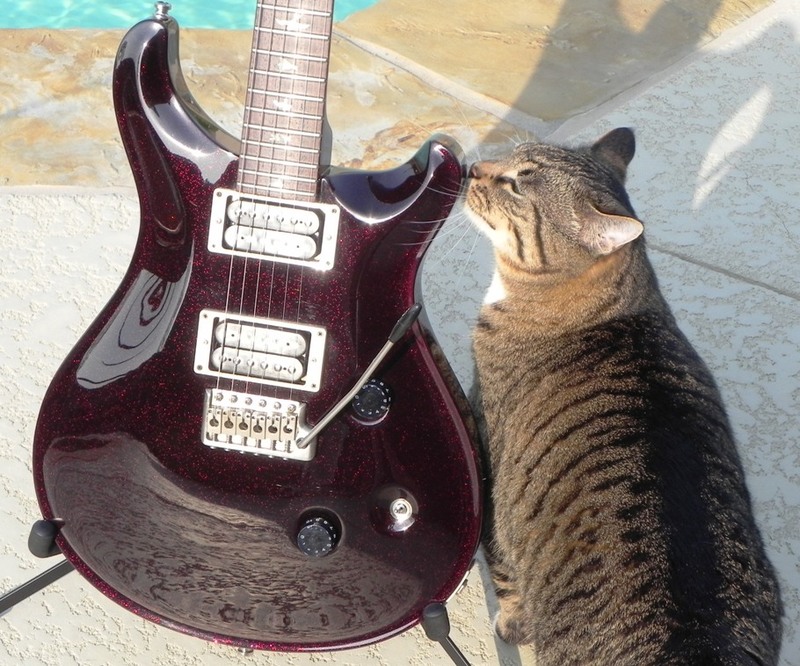 They had to, Peavey objected to the use of the trademarked name booger sugar. Matty_B_1966, bodia, Boogie and 1 other person like this. Andrew Paul, ooglybong, derFunk and 8 others like this. I'd love to know if I could order a CU24 with this !!!!! my cat does the same move.